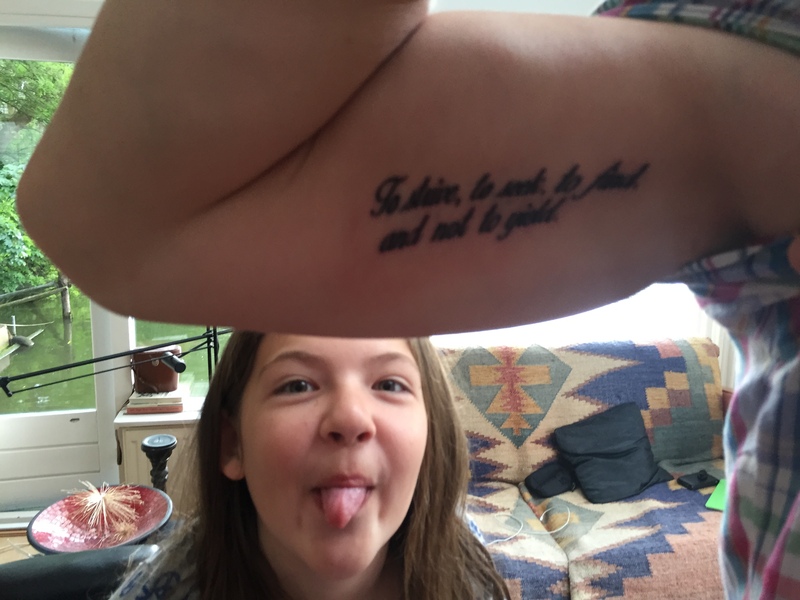 I never thought about getting a tattoo. It wasn’t part of any plan I ever had for my life. Why paying someone to hurt me? Still, there I was yesterday getting a tattoo from a very friendly artist at a local place in Amsterdam. Mid-Life Crisis? Sure, cheaper than a Porsche. In reality, it’s marking the realization that everything changes constantly. I live a life now I never envisioned 20 years ago. I have opinions and thoughts I never had 20 years ago. Today’s essence of my life is not the essence of my life in 1994. We change constantly until we can only change physically. Life is change. 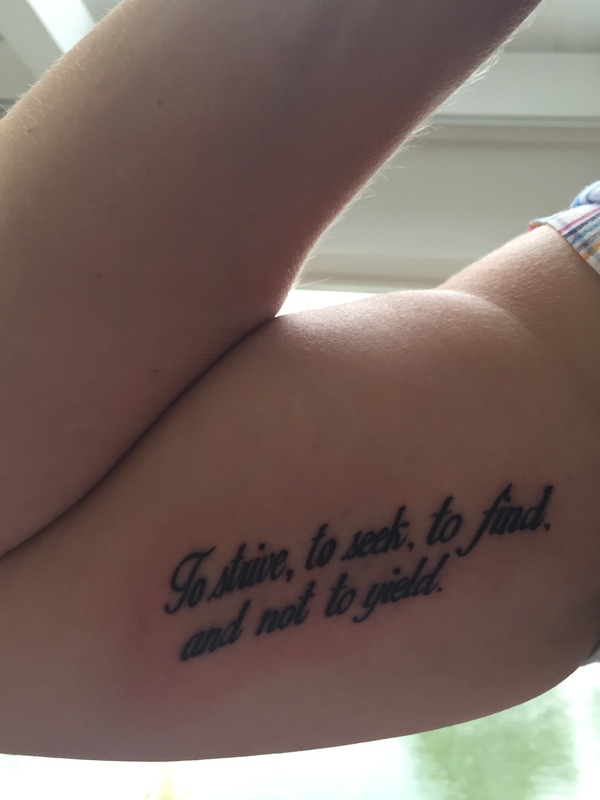 “To strive, to seek, to find, and not to yield. It’s from the poem “Ulysses” by Alfred, Lory Tennyson. The line itself reads like pure determination. Nobody can stop us. That’s just part of the story. Just like Ulysses and his mariners, I’m not as strong and durable as I was when I was 20. I’m getting awfully close getting beaten in sprints by my 10-year old. Going to a club until 3am sounds more like a chore than something to look forward to. And there are weird aches and pains that come and go just to remind me of my age. But the will remains stronger than ever and it it sustained by the resolve to push forward relentlessly. Now. Tomorrow. Forever. And, never take yourself too seriously.